Eb and I said annyeonghikaseyo (good bye) to South Korea, jumped on a 1.5 hour flight and said Konichiwa to Japan! We landed in Osaka where we had planned to meet up with a friend from back home. As soon as we got off the plane and through customs, Eb and I were starving, so we made a quick dart to the nearest McDonalds, don’t judge us. We then jumped on our first train in Japan to meet up with my mate, Soods, and crash at his pad for a couple nights. The last time I saw Soods was at a house party on Australia Day in 2014. He’s been in Japan since, teaching English. It was great to see a familiar face from back home. I don’t know how much longer he will be here, but he looks pretty comfortable here! After a long day of transit and catching up with Soods, we called it a night as we were absolutely knackered. The next day Eb and I had planned to be tourists for a day and do a bit of wandering through the streets of Osaka. We met up with Soods later in the evening for a bite and a drink. 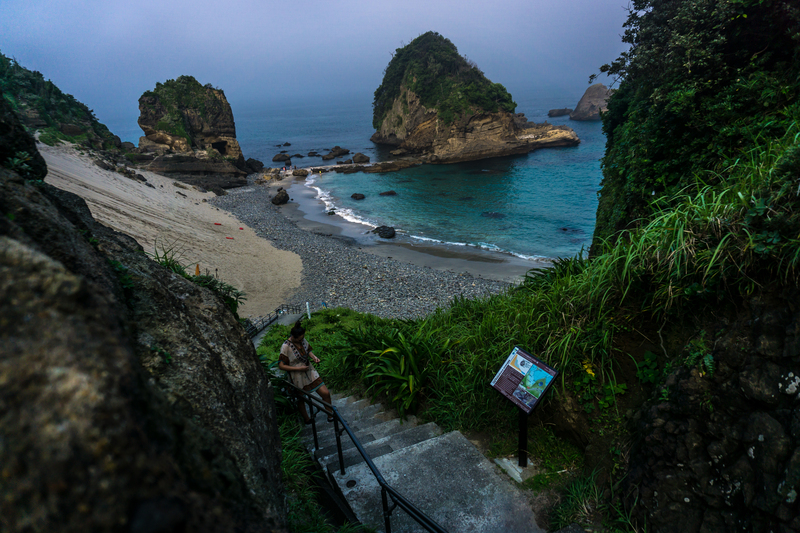 Shimoda is awesome! It feels like a little Hawaii. When we arrived in Shimoda, the workers at the train station were wearing Hawaiin shirts, a couple drove passed us and threw up the shakas hand gesture and the beaches are really beautiful here. Our first impressions of Japan – The people are sooo friendly, the trains are expensive, there’s a lot of people in Osaka, it’s impossible to pay by card here (big inconvenience) and Shimoda is DOPE. Thanks so much! Yes you should definitely come here 🙂 we look forward to checking out your blog 🙂 the background photo is amazing!!! We will have to practice our portuguese!